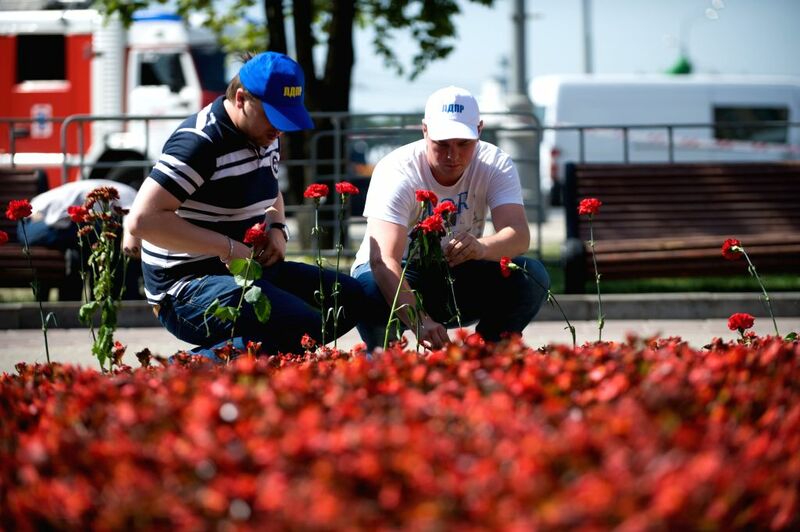 MOSCOW, July 16, 2014 - Two men lay flowers near Park Pobedy station on July 16, 2014, in Moscow, Russia. Residents in Moscow laid flowers and lighted candles at the metro station to convey their condolences to the victims of Moscow's deadly subway derailment. According to the latest statistics, at least 22 people died and hundreds more were injured in a subway train derailment on Tuesday, which has become the worst accident in the Moscow metro history dating back to 1935. 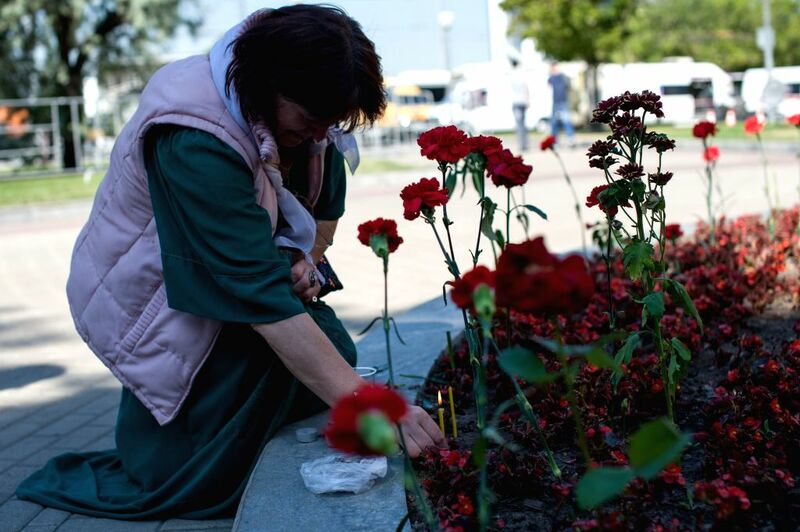 A woman lights a candle near Park Pobedy station on July 16, 2014, in Moscow, Russia.